They say that a dog is man’s best friend…and that goes for kids, too, of course! 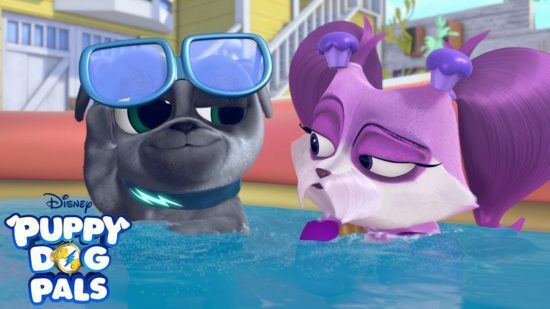 Now we have a whole bunch more doggie friends with all of the Puppy Dog Pals! Your kids might already be fans from watching Puppy Dog Pals on Disney Junior, but now that fun is all wrapped up with brand new DVD that is now available: Disney Junior’s PLAYTIME WITH PUPPY DOG PALS! Travel the world with your favorite pug pals as they play and save the day. 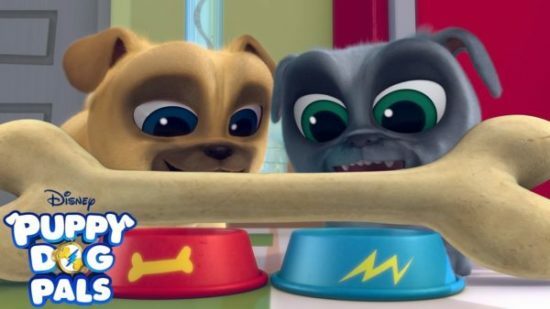 Puppy brothers Bingo and Rolly are back and are headed on some amazing missions: deep-sea diving in the Great Barrier Reef, fetching a four-leaf clover in Ireland, running all over Down Under, and much more! You can also meet their brand-new puppy pal Keia in two exciting bonus episodes. Packed with action, music and a ton of silly fun, these playtime adventures will leave you howling with laughter! 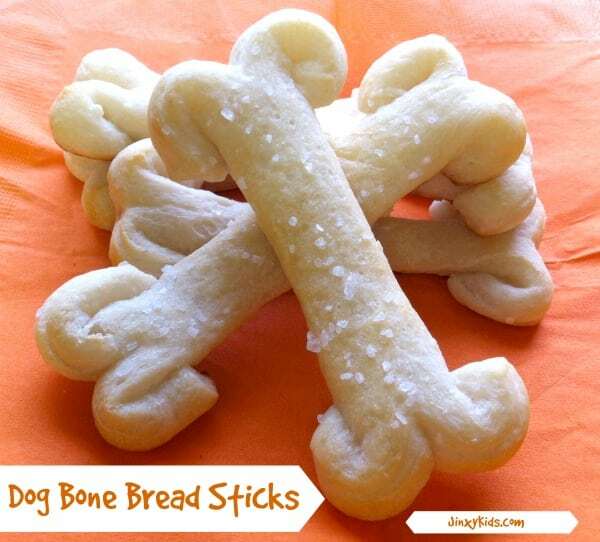 For more Puppy Dog Pals fun, check out our Puppy Dog Movie Night with a fun Dog Biscuit Bread Sticks recipe, activity sheets, and more! 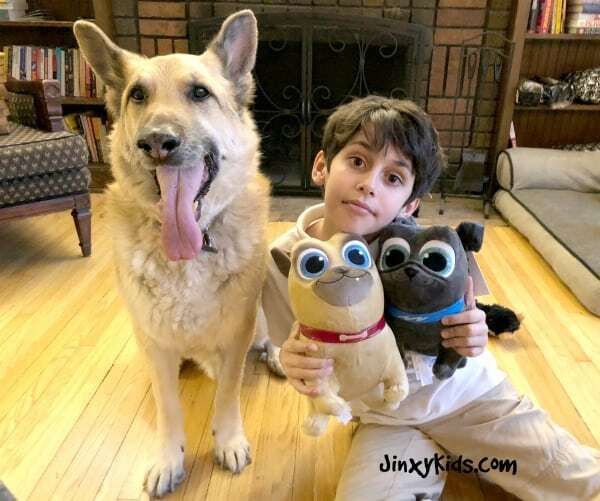 Reader Giveaway: One lucky Jinxy Kids reader will win Playtime with Puppy Dog Pals on DVD. To enter, just complete the entry form below by 11:59 pm ET on 2/11/19. Good luck! “Tell us about your favorite pet AND/OR let us know who will be enjoying this DVD if you win.” I think everyone here will enjoy this if I win! I enjoy having my chihuahua each and every day. He is a true blessing. We have a beagle and a guinea pig. We love dogs and guinea pigs. This will be for all of my granddaughters to watch. My favorite pet is our dog. My kids would love this and be watching it. My favorite pet is our dog. She’s a Jack Russell Terrier. I would enjoy watching this DVD with my grandsons! My nephew would enjoy this dvd if I won. He enjoys watching this show. This is my granddaughter and mine favorite show to watch together. We made sure she got the playset for Christmas and we play it together. We would love to have this dvd for her to watch because we love this show and the characters. My 8 yr old would love this dvd. My son James who is 4 will be enjoying this if I win. We have 2 wonderful dogs. Love to watch with my granddaughter! My sweet daughter Emma loves puppy dog pals. She’s been wearing thier house slippers all day. She’s be so excited to get thier dvd in the mail! My granddaughters would love this awesome prize. My grandson (just 1) stops everything when these pooches get on the TV screen. He loves them! We have 2 pomeranians and 4 kitties.. 3 blue russians and 1 tuxedo. They will be enjoying this movie with us~ Thanks for the chance to win!!! Oh our little one would be loving this DVD! He is a huge Puppy Dog Pals fan! His favorite dog is our two labs…Buddy and Bella! My favorite pet is my baby pig, Willy! He’s so adorable but boy can he squeal loud! it would be for my friend’s little one because i LOVE spoiling him and he would love this!! I’d give this to my friend’s kids. I’d like to win for my friend’s kids. I would watch this dvd with my niece. We love our dog…he is like one of our kids. I think all my kids would love it if I win. My childhood dog, Pepper, was my favorite pet. My nieces would enjoy this! My favorite pet was my childhood dog, Pepper. My nieces would love this! My 3 dogs are all my favorites and I would enjoy this with my nephew. We have a wonderful dog named Sierra!! I’ll be watching with my granddaughter, and our favorite current pet is our dog Play Doh. Always like to have a dog for the kids. Helps to teach them to have something to take csre of an d found that the black labs also a loyal friend to them. I love French Bulldogs. I would share this with my sons. My son loves dogs! He would love this! My favorite pet is my Doberman furbaby, Prince (Albert). And my smaller granddaughter would love to watch this DVD with me. My son would be enjoying this DVD if I win! My favorite pet was a kitty named Pumpkin. 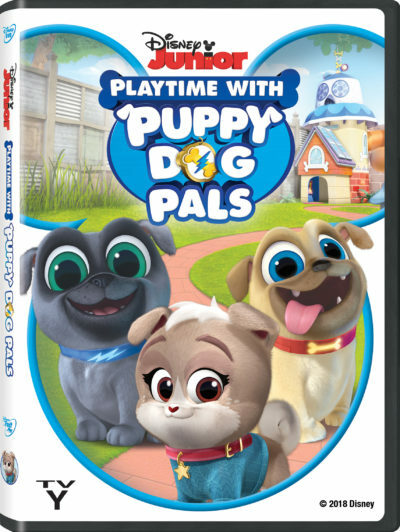 I would love to share this DVD with my 2 daughters that adore Puppy Dog Pals. They pretend to be Bingo and Rollie sometimes. So cute. I would share this with my 4yr old cousin i watch daily if I won! We love to watch Puppy Dog Pals. Super cute show! My grandchildren would certainly enjoy watching this! My favorite pet is my little dog named Dozer. My niece would love this. Harley-dog will love this show. My son would love this!!! We don’t have any dogs at the moment, but my son loves his grandpas dog and sometimes we will bring him home for awhile. I love my lab. My newphews love this show, they would love this dvd if I won. I would give this to my friend’s little ones. we lost our Ellie Mae, a chocolate lab last August. What a sweetie. My husband has his heart set on getting a Westie. We have had Basset Hounds too. Gotta love ’em all!!! We love all animals. This will be enjoyed by our 4 year old Samantha. She loves puppies. If I win, my grandchild will be enjoying the DVD. My chihuauah is my favorite pet. I will be enjoying this with my 2 daughters if I win because they are big fans of the show! We have the best rescue dog ever! My littles would love to win this! We have cats, one thinks he is my grandsons brother! My 2-year old grandson will enjoy this.